in a fiber arts class! 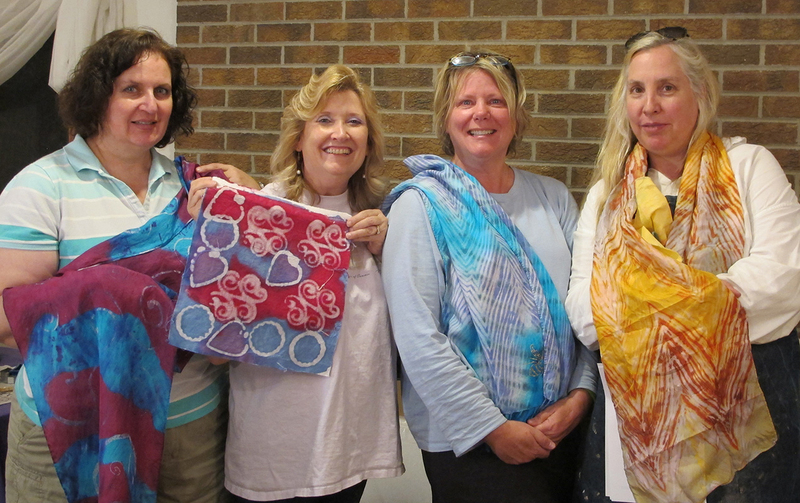 Check out fiber arts classes, including private lessons and workshops. Ready to explore fiber art? Step into the Beautiful World of Fiber Arts! Learn a variety of resist processes and surface treatments that will allow you to make a wide variety of beautiful fiber creations. These include wearable, home decor, decorative and fine art pieces. 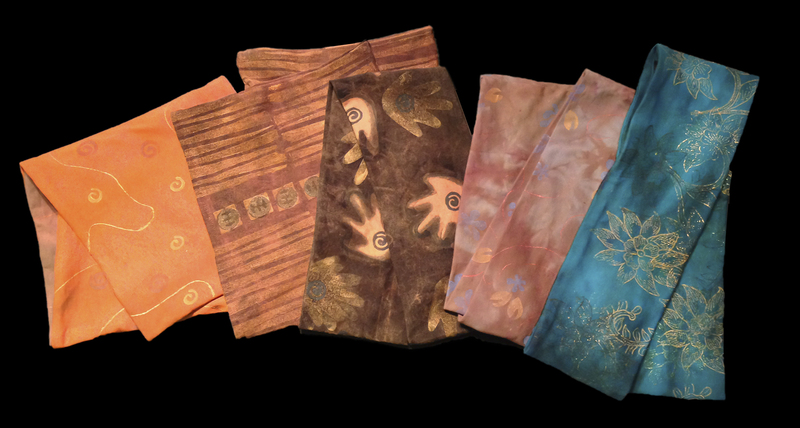 Students will work with fiber reactive dyes and practice resist techniques such as batik, screen printing, folding, pole winding and wrapping, tying and capping. You will leave class with the passion, skill and confidence you need to continue working on your own. You don't have to be talented, or creative, or "artistic" to enjoy fiber arts. You just have to be willing to experiment and play. The arts teach us how to overcome obstacles and find a voice. When you understand that you do not have to be a master to experience the benefits of art making, you open the door to your own creativity. At Full Circle Art Studio, everyone is an artist! 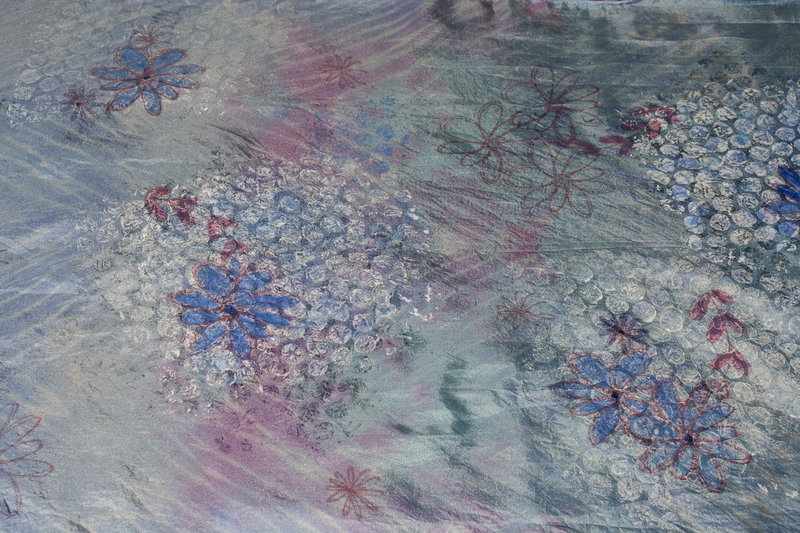 Silk Painting is an exciting and beautiful watercolor medium using silk as a canvas and dyes as the paint. With the addition of gutta as a resist, many interesting variations can be achieved. In this class, you will learn a variety of techniques for applying resist and dyes to silk to create results that can range from realistic representational images to abstract textural fields. No experience necessary. Materials and an informative handout will be provided. Come explore the colorful world of Silk Painting! 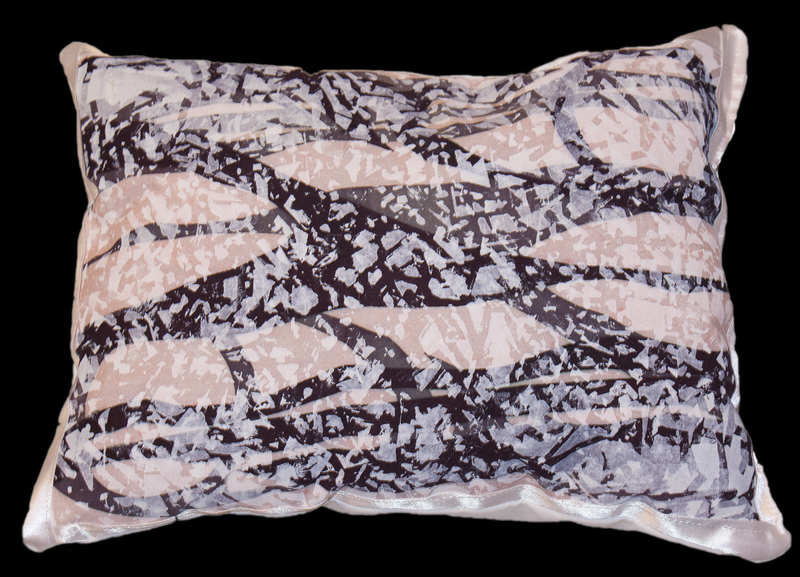 Batik is a form of fiber art using wax to make resist designs and patterns on on fabric. Once the resist is applied, your choices for adding colors are limited only by your imagination! In this class, you will learn a variety of ways to make beautiful colors, patterns and images on fabric, and create pieces that can be mounted for display or used to make functional or wearable art. You will experiment with practice pieces and then create a finished product of your choice. This can be a scarf, a banner, a pillowcase or something else of your choosing. No artistic experience necessary, just bring your creativity! A $20 materials fee is payable to the instructor at the first class. Register at Lifelong Learning. Need a place to work on your fiber arts creations? Full Circle Art Studio is a fully equipped fiber arts studio where you can let your creativity run wild! After you have taken a class or a private lesson at Full Circle, you are eligible to attend studio times here at my studio. I supply the equipment, dyes, paints, chemicals and plenty of support; you bring a natural fiber piece you would like to work on or buy one at the studio. Find dates on the calendar below and sign up by calling the studio at 303-530-1534. Tie-dye (a.k.a. 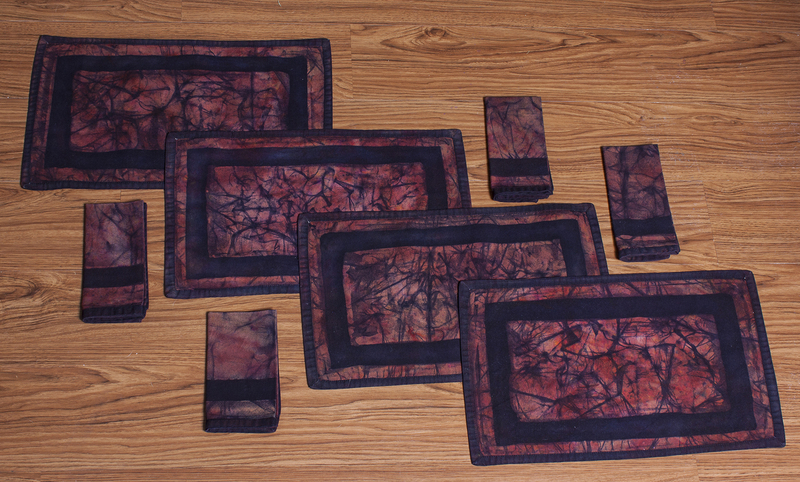 Shibori) is fun and easy! Learn tie-dye resist techniques such as folding, tying, scrunching and winding to make beautiful, colorful patterns. Combine brilliant dye colors to create eye-catching pieces such as t-shirts, scarves, aprons or anything else made of cotton or other silk or cellulose fibers. I will supply the dyes, fixer, guidance, encouragement and all of the equipment needed to make finished pieces. You will see a hands-on demonstration and receive a complete set of instructions for making more exciting creations on your own. This class is great for beginners and experienced fiber artists alike. All classes are held in the Full Circle Art Studio in Gunbarrel — a casual and fun setting for creative exploration and a perfect venue for an intimate get together with friends. Wear some old clothes, bring a water bottle and your sense of adventure!